The time to move to the cloud is now. Enterprise are taking a cloud-first approach and Microsoft has a differentiated hybrid cloud solution to help enterprises transform their datacenter strategies and meet their Digital Transformation goals. In this session, we will talk about how Microsoft can help enterprises transform their datacenter strategies by extending their existing IT investments with the cloud, smoothly migrating workloads and modernizing their application portfolio with Azure and Azure Stack. 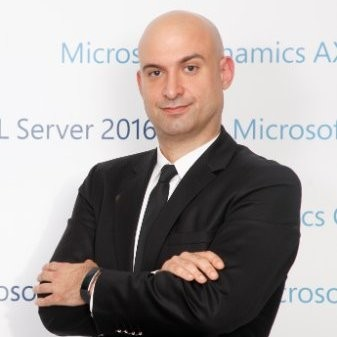 Mehmet Uner has been working in Microsoft at various roles for 12 years and in the IT sector for over 16 years. In his current role, he leads the Cloud Infrastructure Business for Microsoft MEA Region. He is responsible from revenue, end-to-end sales and marketing, customer and partner satisfaction for Microsoft Cloud and Modern Datacenter Solutions including Windows Server, System Center, Azure Infrastructure and Azure Stack. Previously he managed the Cloud + Enterprise business group in Microsoft Turkey and before that he worked for 4 years as a Solutions Sales Professional in Enterprise Customers Group where he was responsible from the sales of Datacenter (Systems Management & Security), Cloud and Mobility offerings of Microsoft to Telco, Finance, Public and Manufacturing & Retail customers.